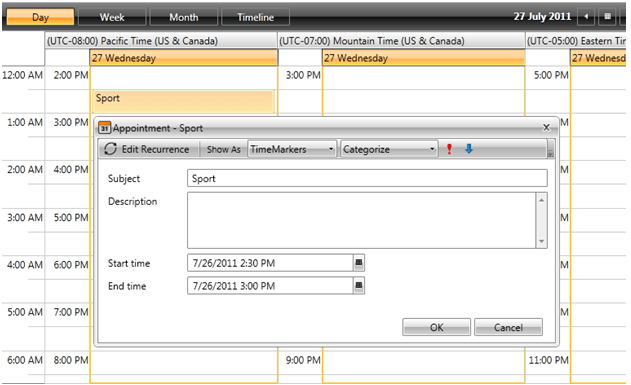 The displayed groups can be configured by the TimeZonesSource property of the control. This property can be bound to any collection of TimeZoneInfo objects. 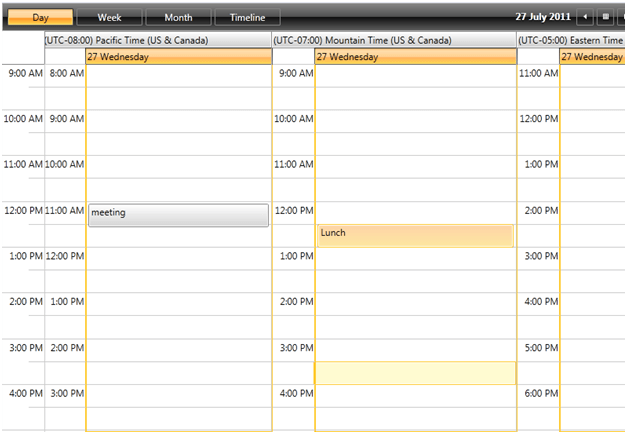 If this property is not set, the Time Zones that will be displayed are TimeZoneInfo.Local and TimeZoneInfo.Utc.